Too often we see career tabs that state that the job ‘will offer open communication, leadership development, have an open door policy, and infinite potential to grow within the organization.' Great, but this doesn’t tell the prospective employee really anything about the job. Instead of an ambiguous statement that could really apply to any industry, consider telling the story of an individual in the position, and how they feel about the job they are doing. More importantly, discover ‘why’ they are there and tell that story. Yes, there is a skills gap. We see it across numerous industries, and we are just now beginning to discover how to combat it. We at Gen Y Inc. feel that if values are told before skills, and that jobs are communicated based on experiences and stories instead of skills and requirements - which are still important of course - that we can attract people to industries that are lacking in the necessary supply of talent. Planning your next strategic planning meeting? 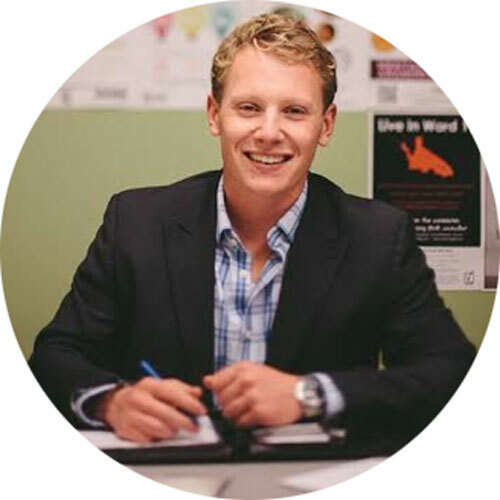 Eric Termuende is a Co-Founder and Director of Gen Y Inc., a culture group focused on the future of work. Eric was recently recognized at one of the 2015 American Express Top 100 Emerging Innovators under 35 globally and sits as Community Integration Chair for Global Shapers Calgary, a community that functions under the World Economic Forum. He also sits on the Leadership Committee for the Canadian G20 YEA Delegation, and is a former University of Calgary SU Vice President, Class Ambassador (2014), and youngest Ditchley Foundation attendee.